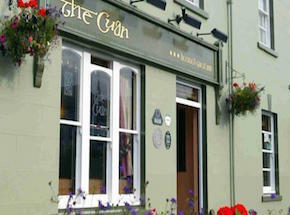 Peter McErlean’s Chip Shop beside his Cuan Guest Inn in Strangford is a tourist attraction in its own right. Anne Marie Kearney is one of the most experienced fish fryers in County Down, so you just know that batter will perfectly complement the flaky morsels of fish inside. Naturally the chips are proper too. Check out the mural done by Bill Gatt. It’s now part of the architectural heritage of the building and is great to look at while you’re waiting for your delicious order.